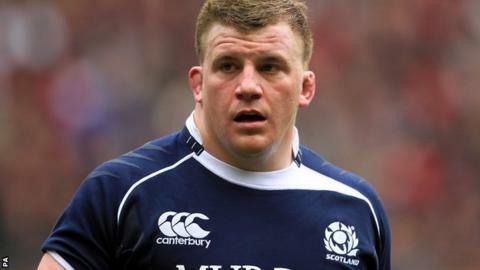 Exeter Chiefs' Scotland international prop Moray Low is likely to miss the rest of the season. "He has got quite a significant hamstring injury," Exeter head coach Rob Baxter told BBC Sport. "It's going to be unlikely that he'll feature again this season, which is very unfortunate for Moray." Low joined Exeter from Glasgow last summer and has started nine games, scoring one try. "He'll start on his rehab programme and we'll work very hard on that and get him fit and running around as soon as possible," added Baxter. "You want everybody fit and to be able to pick from as strong a squad as possible. "I doubt many people are selecting from a fully fit squad, so we're completely happy with the squad we've got here and you have to make allowances that players will get injured and it creates opportunities for some players and that's what it'll do."